Digital deformities of the foot are extremely common presenting complaints to a foot and ankle specialists’ office. A thorough evaluation of the etiology and reliable surgical corrections if there has been a failure of conservative care are paramount. 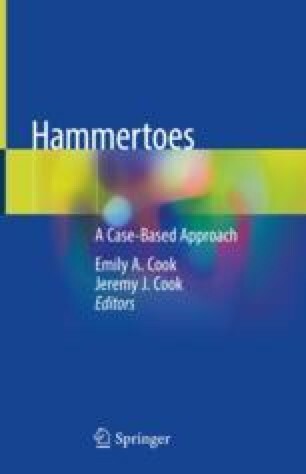 Hammertoe and claw toe corrections via interphalangeal arthroplasties and fusions may be reliably performed with absorbable pin fixation. This chapter details options for that. The use of a polylactic acid pin and modifications of that technique are described in detail and may be implemented by surgeons as another option for the stabilization of digital deformities and the return of patients to a higher functional level.